A medium sized bank almost lost hope in IT after grappling with frequent failed and emergency changes. 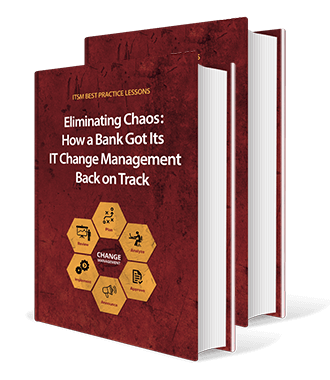 This is the turnaround story of how the bank's IT team incorporated change management best practices to eliminate chaos, deliver measurable results in a short time, and to get their change management process back on track! Download the case study to understand their journey and carry the learnings to your organization.